I love food. I especially love locally grown or farm-produced food. It’s no wonder, then, that I am proud to support local farms from Dreyer’s Farm in my hometown, to Riamede Farm in Chester for their pick -your-own pumpkin patch, and Tuckamony Farm in New Hope to cut our own Christmas tree every year. You can understand why I was excited to connect with Justin of Honey Hound Farm in Sparta, New Jersey, and even more so to receive a basket of his handmade bee and body products. Justin and his wife, Emma, have been beekeepers at their New Jersey bee farm since 2015. To set the stage, imagine getting a message from someone you don’t know but their warmth and humor make you feel like instant friends. I think that connection is important for business relationships because you’ll always remember the first interaction and will feel comfortable referring new clients. Justin had commented on his heavily booked schedule and wish to vend at one of Marketspace’s 2018 handmade markets. We were “passing like two ships in the night”. I couldn’t help but laugh and reassure him that we will definitely find an event that works with his schedule this year! Fast forward to last week when I received a shipping notification from Honey Hound (I picture Abby, the dog, putting her paw print seal of approval) and just two days later, a beautiful gift basket. Inside was a Coconut Crème Whipped Body Butter, Lavender Oatmeal Honey Soap, Coconut Lip Balm, and of course, a jar of honey from their apiary! Each product is packaged in quality containers – a glass jar with tin lid for the body butter and honey, complete with a wooden honey wand – and still I can smell the incredibly fresh aroma of lavender and coconut through the packaging. The body butter is substantially thick, but not greasy. It absorbs quickly leaving a light scent. The lip balm is not too thin or gritty, but a perfect blend. It also contains Evening Primrose Oil which makes me want to use this balm as a wrinkle treatment too. 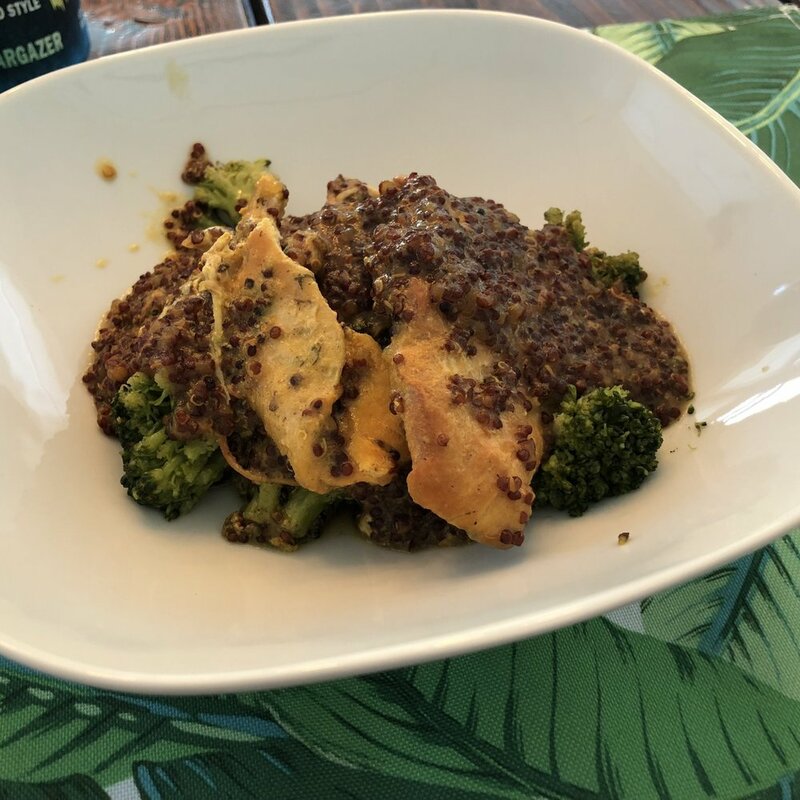 I haven’t used the bar of lavender soap yet, but I am making a crockpot honey mustard quinoa chicken tonight using Honey Hound Farm honey. I’ll be sure to include pictures! Being fairly new to the business, it is refreshing to see how excited Justin gets about his brand. I already know Justin and Emma are a great addition to the Marketspace Vendor Events family because we encourage a strong brand and excellent customer service among our vendors. Justin even brings his bees to shows! I can’t wait to meet the makers, literally. 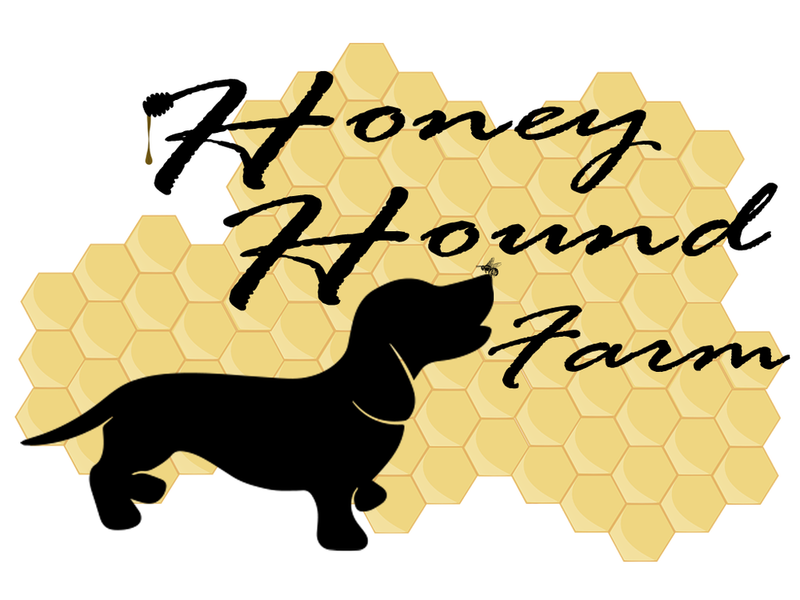 Please visit the Honey Hound Farm website at: www.honeyhoundfarm.com.